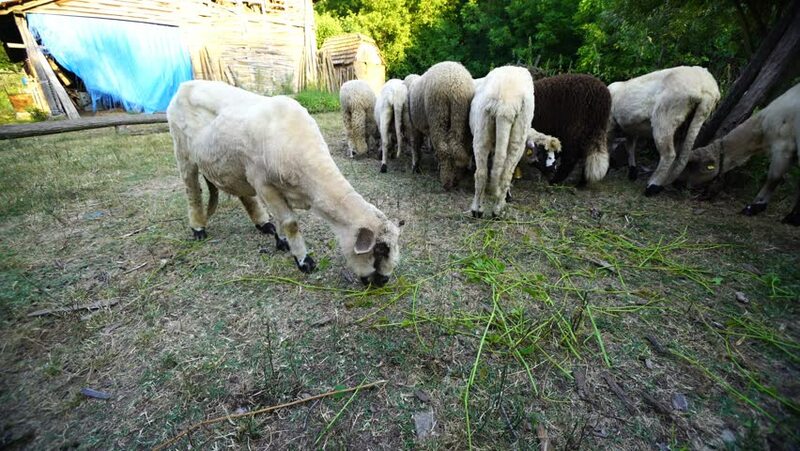 Funny wide angle shot of sheep feeding in a rural countryside yard. hd00:11Cow, Brazil, Cows run slow motion. Pantanal, Brazil. hd00:09Sheep are ruminant Eat grass and plants essentially have thick fur and a fluffy pup mammalian milk. hd00:20Two Little Goat and Goat Grazing in the Meadow. the Action in Real Time. hd00:19Sheep and goats in the herd, they return to the fold. Continuing to graze, in the grazing fields. Landscape Sicilian hinterland.